Published on 31 August 2012. 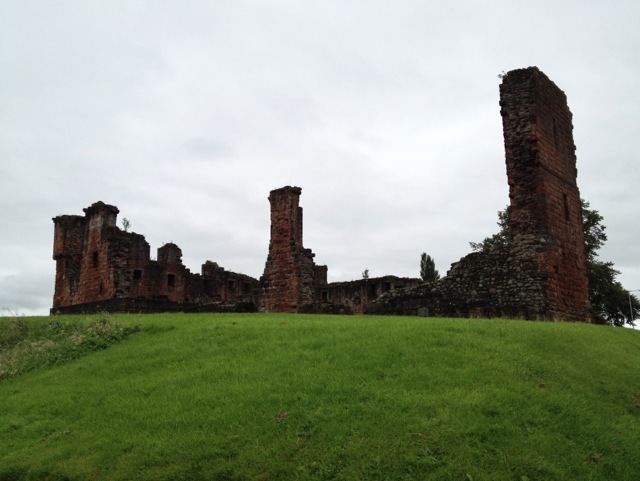 This is what’s left of Penrith Castle, built between 1399 and 1470 by William Strickland, who later became the Bishop of Carlisle. Richard III lived there for a bit, but William III gave the castle to his good friend Hans Willem Bentinck, though the King’s subjects weren’t all that impressed with his decision to give a castle to a Dutchman. The King wasn’t particularly bothered about what his subjects thought, and went on to give Bentinck 135,000 acres of land in Ireland, too. he wanted to give him a fair chunk of Wales as well, but got scared when the whole House of Commons was united in opposition. If Elizabeth II has a spare castle or hundred thousand acres she wants to give away, I’ll happily take them off her hands…! This 1,788th post was filed under: Photo-a-day 2012, Penrith.